This new Honda four-door hybrid offers efficient performance and eye-catching style. The sculpted body lines offer a premium aesthetic at an appealing price. When you want to turn heads, you want the new Honda Insight. The front grill offers LED headlights and running lights while the tail offers LED brake lights and taillights. Slide inside to experience the finesse of the cabin. Double-stitched leather decorates the instrument panel and dashboard. To feel the performance of shift-by-wire, schedule your test drive today. Visit Premier Honda in New Orleans, Louisiana to find your Insight! Apple CarPlay™ and Android Auto™ help you stay connected to your favorite audiobooks, podcasts, music and more through an 8-inch touch-screen. To control your Insight remotely, install HondaLink® on your compatible smartphone. The next time you forget where you park, you'll be glad you have HondaLink® installed. When you need internet while on-the-go, turn your new Insight into a mobile hotspot. Safety is standard on this new Honda. 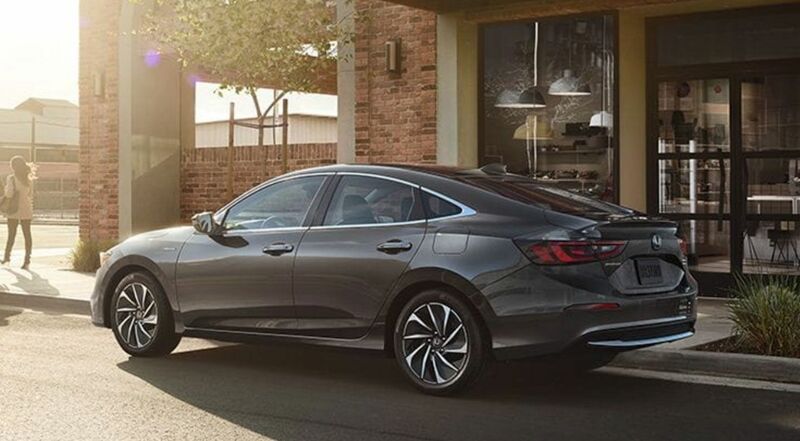 Every trim level of the 2019 Insight comes with the Honda Sensing® suite of advanced driver-assist systems. Feel safe behind the wheel while driving the streets of Metairie and Kenner with Adaptive Cruise Control with Low-Speed Follow, Road Departure Mitigation, Collision Mitigation Braking, and Lane Keep Assist System. Protect yourself and your passengers on the roads of New Orleans with this new Honda hybrid. If you are looking for a Hybrid lease deal, find the affordable financing you deserve at our nearby Honda dealer. Key features throughout the trim range are a Multi-Angle Rearview Camera, Bluetooth® HandsFreeLink®, a 3-Mode Drive System, Remote Engine Start, and Leather-Trimmed Seats. Discover more at our New Orleans Honda dealership. The cockpit of the new Insight offers a premium aesthetic that will impress you and your passengers. Opt for the available leather-wrapped steering wheel to complete the luxury cabin. Then personalize your ride with an available 8-way power driver's seat. Your passenger can do the same on perforated leather-trimmed seats if you select this option. Regardless of the options you choose, you'll have a new Honda hybrid that offers seating for five. The 2019 Insight offers three distinct trim models to enjoy. The base LX delivers Honda Sensing®, 16-Inch Alloy Wheels, and Push Button Start. Slide into an Insight EX for Smart Entry with Walk-AWay Auto Lock®, HD Radio™, Remote Engine Start, and an 8-Inch Display Audio with High-Resolution Touchscreen. In the Touring trim, we find Rain-Sensing Windshield Wipers, an Automatic-Dimming Rearview Mirror, and 17-Inch Alloy Wheels. The Touring also boasts an EPA-Estimated 51/45/48 (City/Highway/Combined) MPG Rating.